Two thousand seventeen...a date that will go down in telecom history. 2017 is when new cloud phone system deployments exceeded new traditional installed phone systems for the first time. 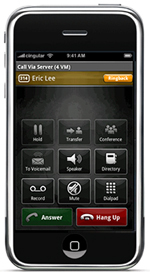 Cloud phone systems have many advantages. They are easy to use and leverage other business tools. Cloud phone systems require very little maintenance. Frequently, there are hard dollar savings over traditional systems. Cloud phones options are extensive with choices that include color touch screens, USB and Bluetooth. They sound amazing. Our Granite Cloud Phone System lets you put your phone system in the cloud while the experts at Granite take care of it. While most Cloud providers ship the equipment to your office and relay on your IT folks to install it, Granite takes a different approach. We do all the paperwork (that's no small task). We bring the phones and all other equipment to your office and our techs install everything. Your dedicated account manager will work with you to design the system and work with the techs on site to custom program the system for your business. We then train everyone on how to use the system. We won't leave until everything is complete. The Granite Cloud Phone System provides a reliable, flexible, easy to use telephone system without the capital expense of a premise based PBX. With Granite Cloud there are never maintenance, repair, or any charges related to programming changes. Concentrate your efforts growing your business rather than managing your business communications systems. Granite Cloud is supported by a telecommunications company with over twenty years of experience. Is Granite Cloud Phone System the best option for your business? Give us a call and we'll evaluate your business to see if this approach would help your business. Connect all your devices, seamlessly with Granite Cloud. 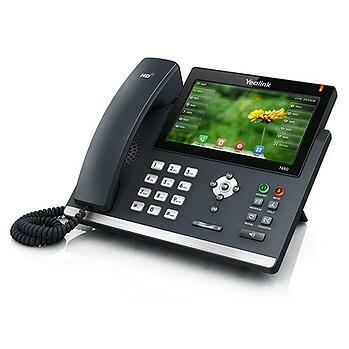 Choose from a selection of modern, easy to use, productivity enhancing IP phones and Applications. to speak with one of our consultants.